A mid St Ives’ tangle of lanes dotted with art galleries hides a small sign marking the entrance to a nondescript mid 20th-century building with a whitewashed walls, however step through the archway in to the Mediterranean style courtyard with olive trees and fountain all of which would sit perfectly on a Italian hillside. 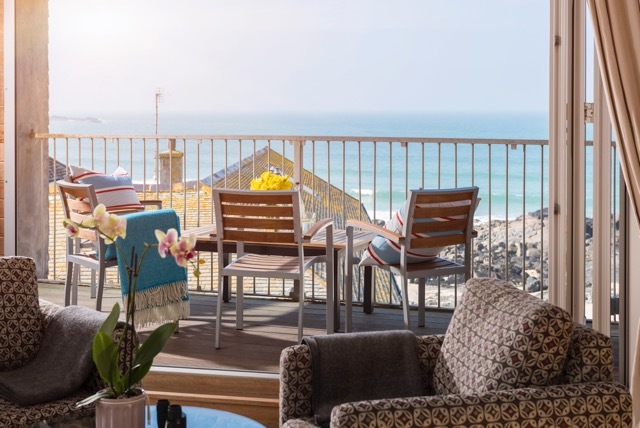 Around this courtyard, and in a few connecting buildings, are 12 boutique 5* apartments nestled away from the hustle and bustle of St Ives, however conveniently position just a stones throw from St Ives’s most popular surfing spot. 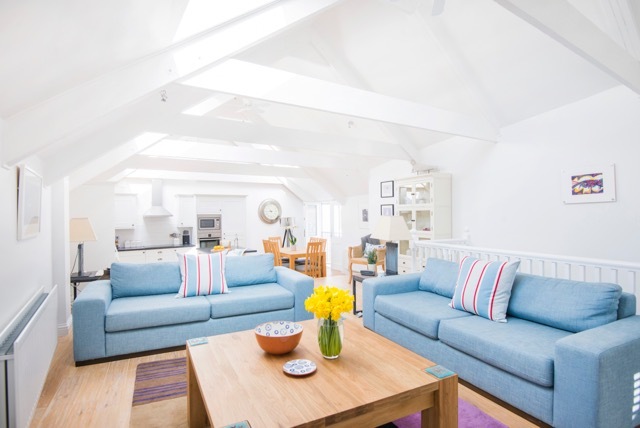 The self catering apartments come equipped with all the 5* necessities needed for a week in St Ives creating a home from home experience including Nespresso machines, Robert’s DAB digital radios and Apple TVs, all with occasional glimpses of St Ives iconic rooftops and beaches. 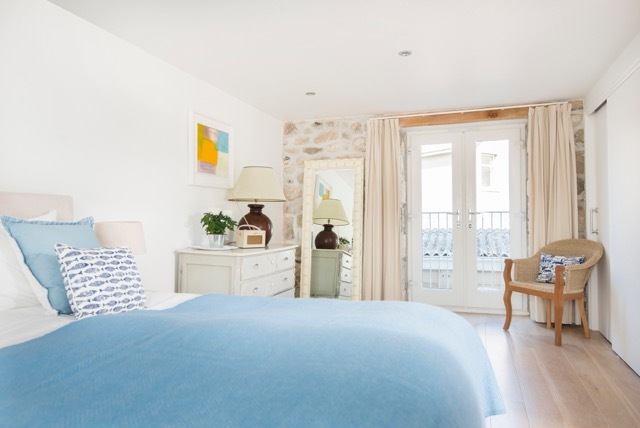 Sail Lofts onsite studio spa providing hot stone therapies, facials and therapeutic experiences to help rejuvenate whilst making the most of your 5* surroundings. 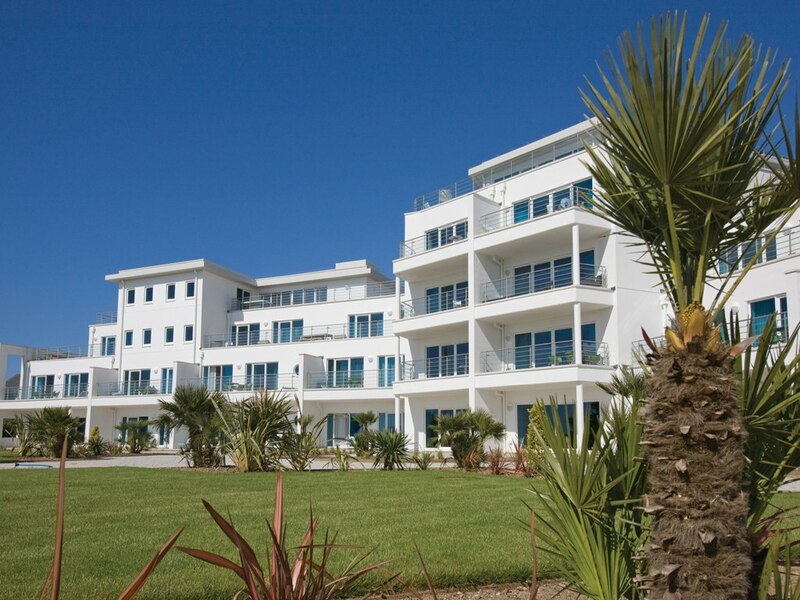 All apartments come with complimentary car parking, a lifesaver in St Ives especially in peak season along with the onsite concierge service offering everything from dinner reservations at top restaurants to recommendations on days out.